Living… near Venice in Belmont, where every suitor in town pines for her hand in marriage. After Portia’s father died, he left her his estate and a will stipulating the conditions under which she’ll choose a husband. As a result, suitors from the Prince of Morocco to the Prince of Arragon to the slightly more humble Bassanio of Venice arrive from far and wide to try to win her hand. Profession… heiress. In choosing his daughter’s husband, Portia’s father set up a test in which three suitors must choose between three caskets – one made of gold, one of silver, and one of a humble metal. 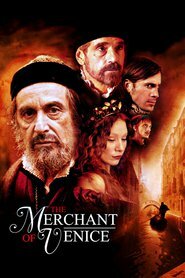 Once her first choice, Bassanio, chooses correct, Portia learns of Bassanio's troubles and vows to help save his friend Antonio, a merchant in Venice. Antonio had staked Bassanio to enough money to help win Portia's heart (and fortune), but to do so he had to agree to let Shylock, a Jewish moneylender, literally take a pound of his flesh if he couldn't repay the bond. When Antonio's ships are reportedly lost at sea, it looks like Shylock will get his pound of flesh – and Antonio could well die. Relationship Status... engaged to Bassanio, who was her first choice among her suitors. Her complete trust in his motivations touches Bassanio, and what begins as a scheme to marry Portia for her money (at least in part) soon becomes a genuine romance as the two work to save Antonio from Shylock’s merciless contract. Portia, in turn, risks her own life to defend Antonio, who helped bring her and Bassanio together. Challenge… finding true love in spite of the circumstances. Not only must Portia find a suitor who will want her for more than her fortune, she also has no say in the matter, which is essentially determined by a lottery designed by her dead father. She resents this situation, describing it as that of "the will of a living daughter curbed/By the will of a dead father." Fortunately it works out when Bassanio passes her father's test, but then his friend Antonio's life is endangered as a direct result of helping Bassanio. Personality… cunning yet genuine. More than just a pretty rich girl, Portia is quick-witted and pure at heart. Even in her constrained circumstances, she tries to exert as much independence as possible, showing incredible courage in disguising herself as a law clerk to defend Antonio and a sharp mind in her defense. She can appeal to the heart as well as the mind, pleading with Shylock to be merciful before trouncing him on legal grounds when he refuses to cooperate. Portia's popularity ranking on CharacTour is #2421 out of 5,000+ characters. See our top-ranked characters and read their profiles.